There are a number of reasons to be cautions in how we use the detailed developer data. The problems of measuring people leading to mismanagement are described in an excellent book by Robert Austin, Measuring and Managing Performance in Organizations. I recommend this text to any manager faced with the problems of evaluating people and setting goals. This is a big subject and a few future posts will explore some of the considerations. An essential issue concerns motivation. TSP works when the team is provided with motivating goals. They use their data to manage their work and improve their personal performance. Project success depends on an often delicate balance of competing priorities and goals. Even using personal data for positive reinforcement can upset this balance. Developers are smart people and they will respond to incentives. A well intentioned incentive can have unfortunate consequences. In this cartoon, the real goal was to deliver a quality product. Be careful what you ask for, because you might get it, good and hard. Robert D. Austin, 1996. Measuring and Managing Performance in Organizations. New York: Dorset House Publishing. 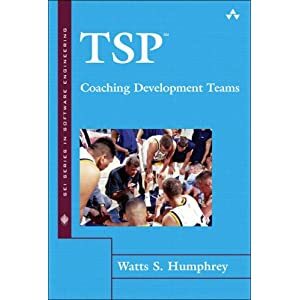 Start reading TSP(SM)-Coaching Development Teams on your Kindle in under a minute. This entry was posted in Performance Management, Personal Data, TSP, Uncategorized. Bookmark the permalink.